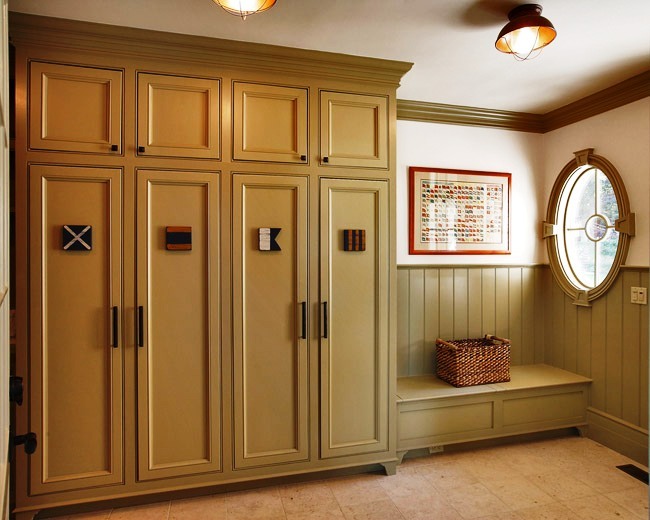 Fabulous Mudrooms……..the ultimate storage for organized clutter! No matter the size, every family has one thing in common. We all have stuff! And we all need a place to put the stuff. Some of the stuff goes in and out of the house every day. Keys, purses, backpacks, shoes, seasonal wear, etc. Storage for our stuff is the idea most homeowners are tacking at the top of their priority list when they remodel. Thus, the MUDROOM!